At Wilier Triestina, innovation is an irreversible process: the range of off-road bikes is further enhanced by the new 110X, the lightest front cross-country mountain bike that Wilier Triestina has ever developed. Agile on climbs and even more stable downhill thanks to its all-new geometry, low weight and advanced boost technology, the 110X offers even the most demanding riders a truly unique feeling in the saddle. The width of the rear hub has been increased to 148mm, the standard boost. This increase in space enables optimal clearance, even with wider tyres (2.3 "). The wider and slightly shorter stays guarantee increased manoeuvrability of the bike. 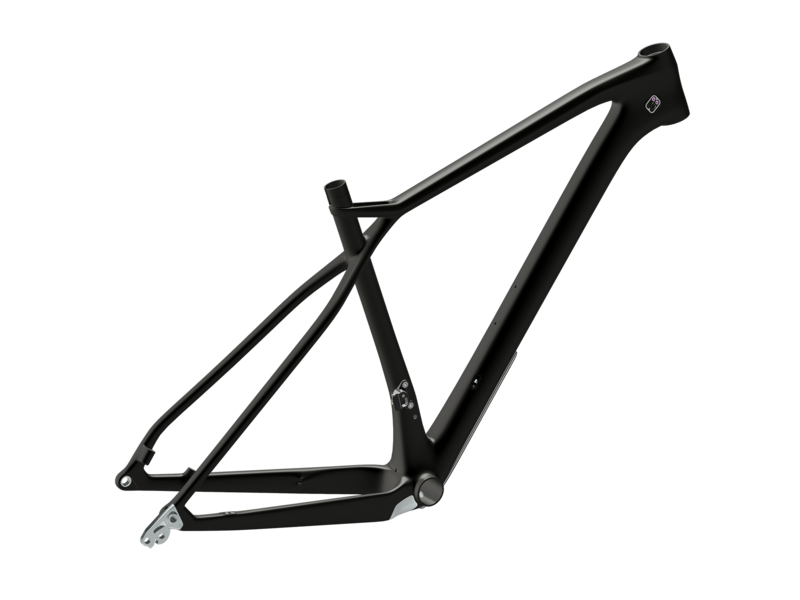 The 60TON carbon monocoque frame weighs just 1070g in the M size. When it comes to selecting the gears, the 110X is extremely versatile. Thanks to the removable derailleur support, the configuration of the bike can easily be changed from a double crankset to a single ring, and vice versa, for an extremely clean aesthetic when using a 1x crank. The support is anchored to the frame with 2 screws, and features a third derailleur adjustment screw for maximum rigidity. The internal cable routing has been overhauled to accommodate the brake and gear cable housings, rendering the 110X ready for use in any type of configuration. To prevent the handlebars from coming into contact with the horizontal top tube of the frame, the headset limits the steering angle to 150°, without compromising on handling. How can I clean my 110X? We recommend cleaning with water and a soft cloth or sponge. Please note that some cleaning agents can damage the finish on the 110FX. We do not recommend the use of pressurized water or air when cleaning the 110FX frame. Such practices can damage the finish and bearings etc. Always thoroughly dry and lubricate your bicycle before storage. Is it possible to install a dropper post on a 110X? Yes, a dropper post can be installed with both double and single chainring setups. The cable or hose can be internally routed. What is the maximum number of theet in the chain ring? The maximum number of theet in the chainring is 38. What wheel sizes will fit a 110X? The 110X was designed for 29” wheels. What is the maximum tyre width that can be used in the 110FX frame? The 110X can be used with tyres with a max width of 58mm. Does the 110X have any frame protection features? The 110 X has a carbon-fibre frame protector fitted to the bottom of the down tube as standard.